Jagger’s favorite memory of Bowie was when they did “Dancing in the Street”. 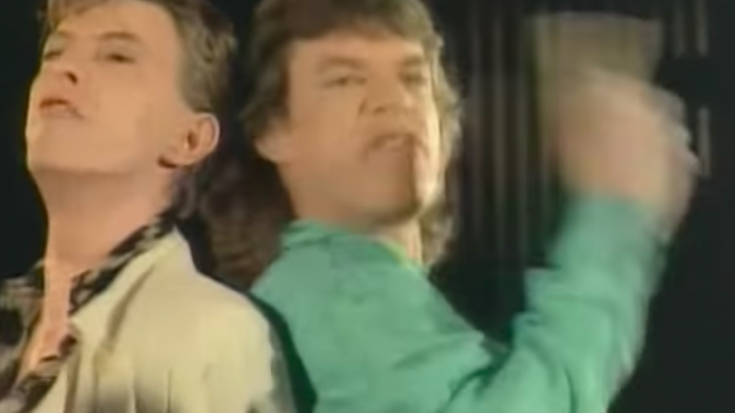 Now Bowie seems to be fond of Jagger as well. In a vintage Michael Parkinson talk show appearance of Bowie, he showed a pretty hilarious impression of Jagger. He told an anecdote of how much of a Little Richard fan he was. And how he first encountered the Stones when they were the opening act for Little Richard way before they were even famous. And then he thought “oh my god this is the future of music”, and the audience burst into laughter.